5 Best Google AMP Blogger Template 2018. amp blogger template, free amp blogger template, blogspotamp theme, amp ready. The development of Google AMP HTML seems increasingly visible. Privileges provided by google, and the many advantages of using Google AMP become one of the reasons why bloggers choose to focus on AMP HTML. For those of you who use CMS Blogger, it will be a little difficult if you try to switch to Google AMP. Because it takes some treatment on your blog. Starting from using a template that is already valid AMP, manually inserting the script code, and having to change previous articles to be valid AMP..
For the above problem, I've written in several articles. Please read some of the following articles before you download the template I will share this. Infinie AMP blogger Themes is created by a blogger master named Arlina which is published in IDNThemes. This template is very easy to see and of course quickly accessed because it is based on AMP. You can download it for free..
No thumbnail support on posts, only on the front page only. If you want to have a blog with a beautiful view, but still valid Google AMP, Template by Bung Frangki this could be your main choice. 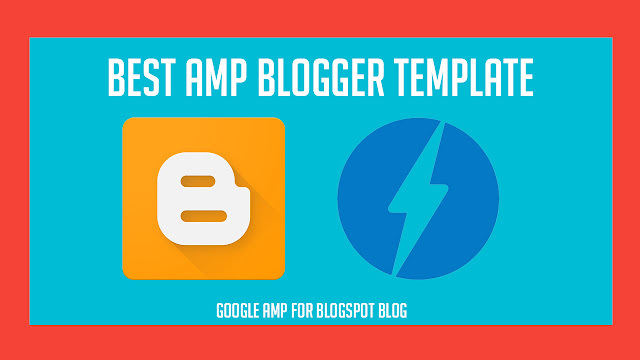 This blogger AMP template is completely valid Google AMP HTML and of course responsive. Infinite JLB is a work inspired by Infinite AMP. Infinite JLB is my own full redesign work. The main advantage of this template is optimization in the meta section to make it more SEO-friendly. In addition, flat-UI color design becomes more attractive, and there are several additional features and designs. And of course very different from Infinite AMP works idntheme. almost get maximum CSS size. If you prefer a template with magazine concept, the best choice is AMPNEWS formerly named MD Camp. This template is responsive, and has 3 columns suitable for blog magazine. Valid AMP template is arguably the twin sister of AMPNEWS, but with more natural and elegant colors. It could be your alternative, and certainly responsive. Please download and apply on your blog for free. To appreciate the creator of the template, please do not remove the copyright in the footer.